Compact speaker delivering big HEOS Sound. : Ideal for small to medium sized rooms, such as bedrooms, offices or kitchens. This compact but full-featured speaker plays cloud music, music stored on your phone or tablet, plus USB and NAS sources, too. Now you can even play content through Bluetooth. Meaning you have options. It also features a carefully designed blend of two custom full-range drivers and a two-channel class D amplifier, all controlled with state-of-the-art digital signal processing that was born in the recording studio. Translated from the tech: these small, powered speakers produce big, clear sound from highly tested, recording studio-grade engineering with support for high resolution audio. 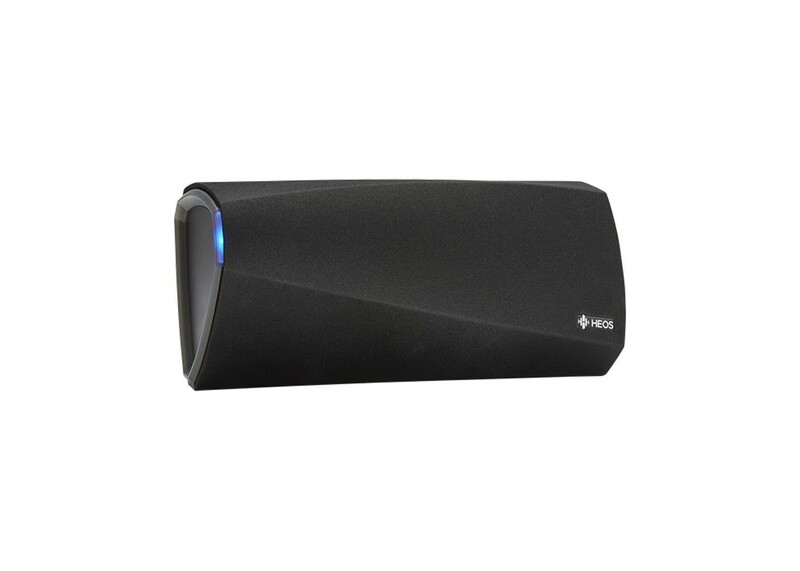 The HEOS 3 produces room-filling sound from its compact and stylish form factor. Enjoy streaming music from the cloud or local files using the intuitive HEOS app for iOS, Android and Kindle Fire Devices. Within the stylish ported enclosure are dual Class D digital amplifiers and dual full range precision drivers. Sound is optimized via a suite of precision DSP acoustical processing algorithms that originated in the recording studio. Auxiliary Analog Line Input: The 3.5 mm stereo analog auxiliary line input lets users connect a device with analog stereo output directly to the HEOS 3. Music Subscription Services: The HEOS app lets you choose from popular subscription streaming services including iHeartradio, SiriusXM, TIDAL, SoundCloud, Amazon Music, Napster, Pandora, Spotify, TuneIn, Mood:Mix, Deezer and from other services that offer DRM-free tracks. More services will be added soon. Picture Formats Supported: HEOS 3 supports JPG, PNG, BMP and GIF album art picture formats. USB Drives Supported: HEOS 3 supports USB thumb drives via the built-in USB port. Music content on a USB drive can be played back locally, or on any or all HEOS players on your network. What's In The Box: HEOS 3 player, AC power adapter, 3.5 mm setup cable, Ethernet cable for wired LAN hookup, Quick Start guide.